Please click on the links for the February Newsletter and Calendar. Please see the links for the January Newsletter and Calendar. Click here for the December newsletter and calendar. Here is the November calendar and newsletter. 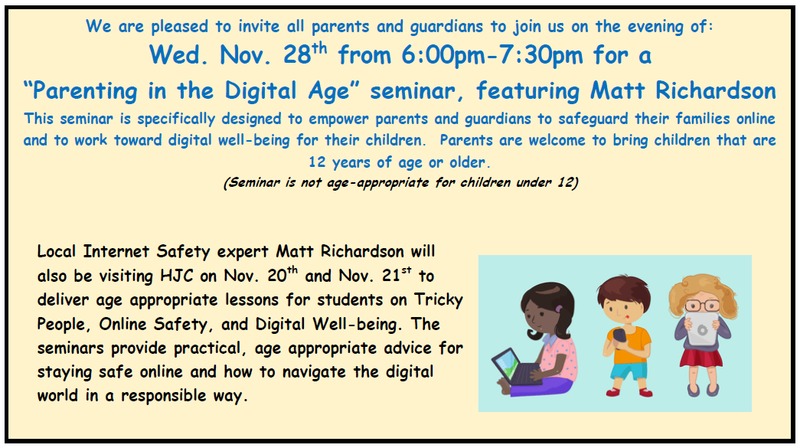 We are excited to have Matt Richardson coming to present about digital well-being and internet safety later this month! See out October newsletter here! Calendar is attached and it is a busy month across the school.